Dealer-FX has proven that it can improve both customer satisfaction and dealer financial performance, and that it is the right partner to drive this advanced service and communication approach throughout our network. 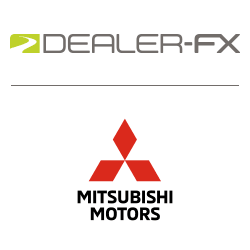 Dealer-FX, the leading Customer Experience Management provider for automotive OEMs and their retailers, today announced that it has been selected as the exclusive provider of Digital Aftersales applications for Mitsubishi Motors North America, Inc., (MMNA). By adopting DealerFX’s ONE Platform, customized and branded MICAR for Mitsubishi, MMNA’s dealerships in the U.S. will have the digital technology needed to deliver an exceptional retail experience and improve customer retention. With Dealer-FX’s ONE Platform, dealership customers will get the best digital retail experience available. From the initial service notification via text or email, through convenient mobile and online scheduling, as well as effective ongoing communication during the service visit, they’ll know exactly what their vehicle needs and can make selections with a tap of a button. By tracking and facilitating every step of the aftersales process, from the items selected by a customer during scheduling, to being greeted on the service drive by an advisor using a tablet-based check-in with walkaround inspection, to communication of VIN-specific OEM data such as recalls and warranty information, and the subsequent process of conducting a multipoint inspection and communicating results to the customer on their mobile device, MICAR helps drive service efficiency by eliminating phone tag and dealer staff waiting for customer approvals. The data automatically gathered from the system helps managers, advisors and technicians identify areas of opportunity for service sales growth and to improve customer-satisfaction and efficiency. ONE Platform and MICAR connect with dealerships via certified, bi-directional integration with 18 DMS vendors as well as several leading third party application providers. Dealer-FX is the exclusive or preferred service technology provider for FCA, Nissan, Infiniti, Toyota, Lexus, Audi, VW, Mitsubishi Motors and several other OEMs in the US and Canada, and has more than 2,500 dealership clients. Dealer-FX is based in Toronto, ON, and maintains an office in Rochester Hills, MI. For more information please visit dealer-fx.com, or connect on Facebook, Twitter and LinkedIn.